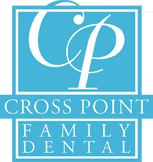 Crosspoint Family Dental offers comprehensive dental services that are delivered to each one of our patients in a friendly and comfortable atmosphere. Each patient is unique and we ensure that when you come to see our cosmetic dentist who serves Billerica, MA, you will not be disappointed. Many choose to see a cosmetic dentist because they are unhappy with their smile. Crosspoint Family Dental hopes to build your confidence when you leave with a great smile. Dr. Peysakhov and Dr. Turkenich take pride in their work and the dental practice they have created. Each have over 30 years of experience, specializing in comprehensive dental care, cosmetic and preventative dentistry, in-office oral surgery, endodontics and complex restorative procedures. If you are interested in any cosmetic dental procedures, please visit or call our office today. We are passionate about our dental practice and expertise and will always be dedicated to our patients. Learn more about how a cosmetic dentist in the Billerica, MA area can help you today at (978) 459-6467.